The test for wipers is probably just an equipment check. I know when I took my driver's test years ago, the examiner (a Kentucky state trooper) checked to make sure all lights, signals, wipers, etc., were functional. I expressed consternation that he didn't downshift, explaining that I had gone down the same grade twice in low gear without having to tap the brakes except for hairpin curves. He told me that he would have done so in a manual, but the minivan was an automatic and he had not known downshifting for engine braking is also possible in automatics. What is there to know, especially when he had driven manual transmissions and had downshifted on downgrades? Every automatic I've seen has a way to manually shift gears. Isn't this just common sense? Granted my current 6-speed automatic has more gears to select from than my previous which was 3 speeds plus overdrive, 2nd gear on that was a fairly low gear. The minivan in question (mid-nineties Dodge Caravan or Grand Caravan) had an automatic with four forward speeds, as did the 1986 Nissan Maxima I used on the same grade. I am sure the brakes would have stayed nice and cool if he had coasted down in second gear, probably identified as 2 or L2 range on the column shifter (in the Maxima it was 2 range on a floor shifter). I blame a gap in instruction. As he explained it to me, downshifting an automatic to go down a hill is a skill, and he had neither been taught it in driver education nor picked it up elsewhere. I think there may also be common misconceptions about how automatics work that prevent people from realizing they can be downshifted for hill descents just like manuals. Torque converters have a lot of slip at low engine RPM, so most people recognize the term slushbox for an automatic. This may fool people into thinking slip is also high at high RPM, and thus that engine braking is not useful or available in a gear range that does not have lockup. In fact, neither is true. Slip goes down to about 5% at 2000 RPM. There is in fact a standard test for transmission function, the stall test, that relies on holding the wheels with the brakes and gradually hiking engine RPM until it stalls at a pre-determined RPM that is published in the vehicle's service specifications. If it does not stall, this is a sign the torque converter is permitting too much slip and needs to be replaced. When an automatic is downshifted to hold speed going down a hill, the crankshaft is usually turning at 3000 RPM or higher, so slip is basically negligible whether lockup is available in that particular gear or not (some transmissions are designed to have lockup all the way down to first gear). One peculiarity of transmission design for some makers, such as Toyota, is the use of one-way overrun clutches to prevent engine braking when the car is coasting. Effectively the car is in neutral since the clutch prevents the wheels from applying torque to the engine crankshaft. I suspect this is an emissions control/fuel efficiency measure since it allows the engine to drop straight to an idle when the driver is not demanding power, but it does mean that if the driver wishes to elicit engine braking for a hill descent, he or she has to choose one of the L ranges so that the one-way clutch is bypassed. Maybe I'm missing something, but that hill didn't appear to be particularly steep. It is particularly lengthy, though; you would build some incredible momentum if something happened to your brakes at or near the top. Nothing a runaway truck ramp couldn't help with. If something happens with the brakes near the top of the hill, you steer into the corn field and deal with angry farmer later. If you overheat the brakes and suddenly realize you're on projectile trajectory by the time you're at the bottom - then you're in a real trouble. Average grade of 7.5% for about a mile-and-a-half. Not particularly steep by Appalachian standards, but still easy to build up momentum if you're not careful. True, but also goes back to the upthread issue about NYSDOT funding and lack of right-of-way. Because the grade slopes down to the right as you're heading downhill, you'd need a bit more right-of-way (and a lot of fill) to build a runaway ramp. There are also several houses on that side of the road...depending on ramp placement, at least 2 or 3 of them would need to be bought out to avoid driveway impacts with a runaway ramp. I am aware of runaway truck ramps and hill descent map signs that have been provided for grades as low as 5%. The maximum grade on Interstates (without a design exception) is 6% and the Interstate system includes runaway truck ramps at locations such as I-80 west of Truckee and I-70 west of Denver where the grade is less than the maximum. The flip side is that usage of runaway truck ramps can be very uneven. If memory serves, Colorado has between 10 and 12 runaway truck ramps on its state-maintained highway system, but 90% of the use is at just one ramp, on I-70 near Idaho Springs. I think this anisotropy may result from high-level design consistency issues that result in some grades being more deceptive than others. Also, the traditional design for runaway truck ramps--pea gravel in an arrestor bed--is more or less restricted to high-clearance vehicles, and I don't think the limo involved in the crash would qualify. A paved ramp fitted with arrestor cables and winter heating (examples include US 6 at Avon Mountain in Connecticut and SR 431 in Nevada) could probably be designed to work quite well for autos as well as trucks, but there would still be significant right-of-way impacts. The most cost-effective solution is the one NYSDOT already adopted--routing all trucks away from the hill--and the agency cannot really be blamed for failing to cater to vehicles whose braking performance is grossly substandard. A strange detail I noticed in the reports (it didn't take very long for me, heh) - group was heading to Ommegang brewery. Which is quite a bit further west along either I-88 or NY-7 (they run pretty much in parallel). However, there is no good reason to continue straight along NY-30 into the stretch where crash occurred. Driver should have turned right on a previous intersection at stop sign. Assuming they were coming from Amsterdam along NY-30, there is no TO I-88 shield on that arm of the intersection - but there is one on NY-7 just past the intersection, visible from the stop line on NY-30. I wonder if this means that brakes problems started before that intersection, which is 2 miles before the crash? And if steering off the road into the field was an option? As for the option of driving off the road and using the increased rolling resistance of grass and other vegetation for an emergency stop, I think much would have depended on whether the driver was able to find a location with shallow ditch slopes before the vehicle gathered considerable speed. If steep ditch slopes had caused the vehicle to roll, then the driver and passengers could very well have been no better off. Edit: In regard to the suggestions upthread that the driver should have been aware of the condition and immatriculation status of the vehicle and should have carried out pre-driving inspections, Wikipedia's digest of the recent coverage notes that the vehicle had hydraulic brakes, and had somehow received a valid NYSDMV inspection sticker despite failing inspection (!!!!). As someone who's driven between Amsterdam and Cooperstown a few times, I would further suggest that the best route is NY 30 -> US 20 -> NY 80, avoiding that area and I-88 altogether. I have wondered if the group asked for an intermediate stop in Schoharie or something that caused this routing to be chosen. notes that the vehicle had hydraulic brakes, and had somehow received a valid NYSDMV inspection sticker despite failing inspection (!!!!). Not that simple. Limo failed specialized inspection, but did get a sticker for private car. Which is a different class. Obtaining a passenger sticker is easy. For brakes inspection - pads on at least one wheel must be checked. Overall, that is the very minimal inspection intended to catch most apparent problems, but as long as wheel count more or less matches the spec you should be fine. Less than two wheels might be a problem, but 3 should be fine. When Arkansas still did inspections, it was left signal, right signal, headlights, brake lights, wipers, horn $5. They certainly couldn't have been headed directly from Amsterdam to that brewery, or they would likely never come near - and certainly not south of - I-88. Unless the driver missed the turn for NY 7, which isn't an outrageous possibility. Anyone who assumes a limo or bus driver would take the most logical route hasn't spent much time riding in limos or buses. I am not sure what is the most logical route for a vehicle as strange as a stretched limo. I did drive in the area a few times, including Ommegang and entire Cooperstown beverage trail - and I had a few moments when I (in a pretty standard sedan) was thinking if I am actually going to make it on that road, or it is designed for 4x4 only. I can see some logic in taking a detour to maximize interstate mileage and reduce local roads. Difference between Google maps optimal routing (I-90 to NY-166) and I-88 routing is 8 miles and 7 minutes; routing @Jim suggested is actually another 3 minutes slower. And while US-20 is a nice drive, those NY routes through the hills are often less than great. What I'm saying is that I've been on enough party buses that have gotten hopelessly lost that assuming the driver knows where they're going or how to get there in a hatchback, let alone a large vehicle that may not be able to travel on all roads in the area, is a fool's errand. I did some preliminary exploring of route options in Google Maps and felt it would take much more evaluation (and possibly access to other tools and datasets) to find a route that stayed on Interstates/US routes/state routes except for last-mile connections while minimizing challenge to brake systems that would likely have been grossly underperforming even if they were in good working order (the NTSB has not yet had an opportunity to explore this dimension since they are being afforded only severely limited access to the vehicle while the criminal investigation is still open). I've been on a scheduled city bus which was hopelessly lost, so I know what you're talking about. I haven't, actually. I've rarely found using limos and buses to be necessary, and that's definitely not something I regret. 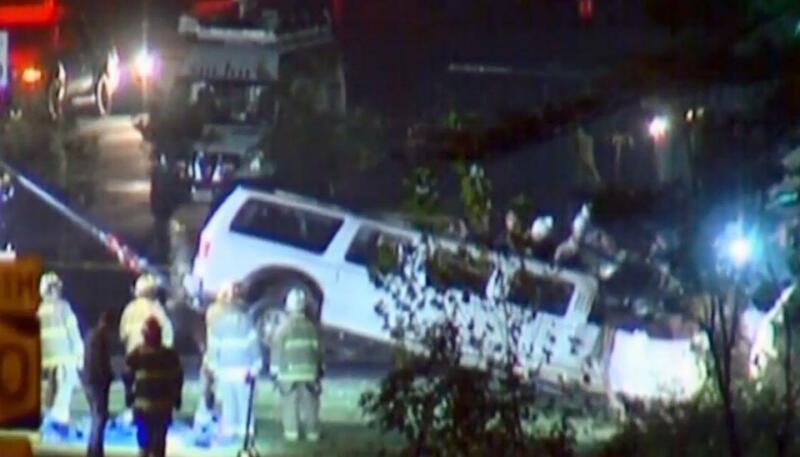 (witness) said that moments before the crash, the limousine had pulled to the side of Route 30. 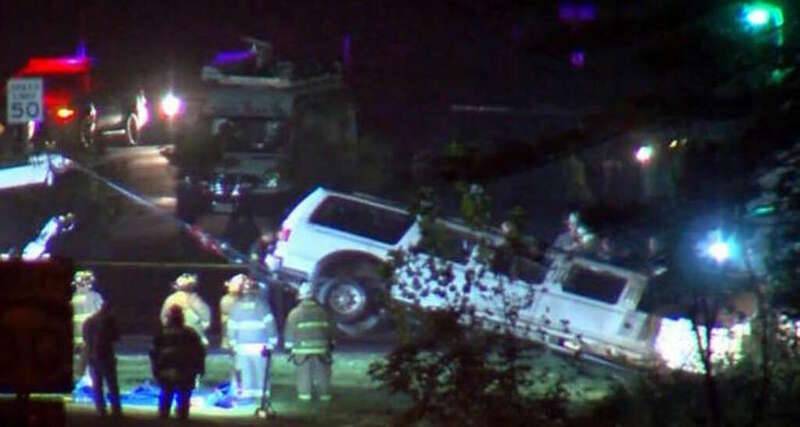 The limousine was rolling slowly forward on the shoulder, the witness told investigators, but its backup lights and audible warning signal were both on. The witness continued driving down Route 30 and had stopped at the intersection of Route 30A when the limousine, its motor roaring like a jet engine, descended the hill at a high rate of speed. Engine sound is a last second attempt to engine brake I suppose? * Another driver remembers driving the crash limousine three years previously and being terrified by it--the brakes were so bad he felt he had to stand on them just to elicit mild diminution of speed. * Because the limousine was a chop vehicle, the lines to the front brakes would likely have been left untouched while additional length would have had to be plumbed into the lines for the rear brakes. This creates the possibility of greatly diminished braking efficiency due to crimps in the brake lines. * The previous driver also recalls the engine being very loud. This additional reporting from the Times-Union, specifically the part about the limousine rolling forward while in reverse, leads me to think that the transmission quite likely was near death. That kind of behavior is consistent with a failed torque converter, glazed clutches, major leakage in the hydraulic control circuitry, or a combination thereof. Even if the engine was in good running order--and I highly doubt it was--it takes a mechanically sound transmission to elicit effective engine braking. Much longer hydraulic lines as well. That means you need a much larger hydraulic actuator (master cylinder) and more hydraulic fluid than in a stock vehicle. If all they did was lengthen the lines during the conversion then they would have a seriously underpowered braking system. The first lawsuit against the limo company was filed today.